﻿ Are we living in a Yog-a-nation? The Indian health story needs a re-write, and the Health sector should be one of the major concerns for the government, as to be the fastest growing economy, you need people who are mentally and physically fit. When the body is physically healthy, the mind is clear, focused and stress is under control. This gives the space to connect with loved ones and maintain socially healthy relationships. When you are healthy you are in touch with your inner Self, with others and your surroundings on a much deeper level, which adds to your spiritual health. Yoga trains you to emphasise on breathing while you hold the poses. It dissolves stress and anxiety. Yoga can help cure insomnia and leads to better and deeper sleep. Yoga can help fight fatigue and maintain your energy throughout the day. Yoga is an effective treatment for a variety of immune diseases because it can reduce the symptoms these diseases often cause, such as stiffness, malaise, fatigue, and weakness. 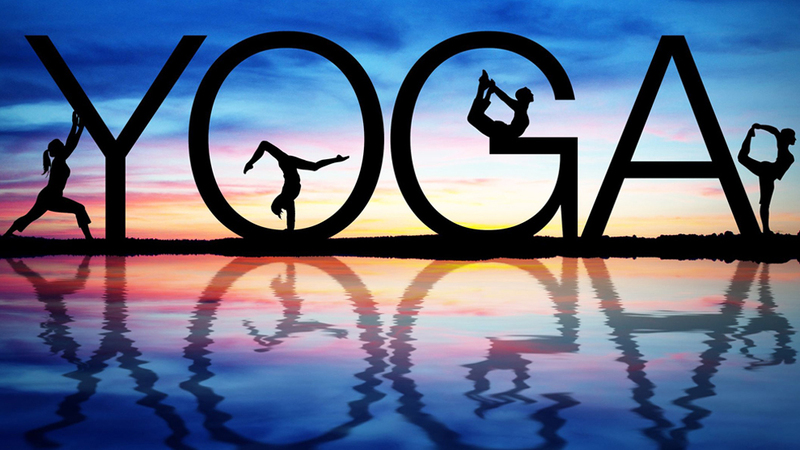 Yoga is a form of meditation, it results in a sense of inner peace and purpose, which has far-reaching health benefits. In modern times greater physical and emotional demands are constantly placed upon many areas of life. More and more people suffer from physical and mental tension such as stress, anxiety, insomnia, and there is an imbalance in physical activity and proper exercise. This why of methods and techniques for the attainment and improvement of health, as well as physical, mental and spiritual harmony is of great importance. If you had been thinking that only you are taking steps toward physical fitness, then health insurance providers in India are moving toward wellness programs to prove you wrong. They are incentivizing you to stay healthy by doling out rewards that will help you save some money in the bargain. Wellness is the new mantra for insurance companies nowadays. Many insurers have started recognising yoga as an eligible preventive healthcare tool by making it part of their comprehensive health insurance policy, where customers can claim discounts on reimbursement of expenses on yoga sessions enrolled in by the customer. If India as a country and businesses in the country are now focusing on this Indian originated practice, what is stopping us? With proper instruction, yoga can be an excellent way to stretch your muscles and increase the range of motion in your joints. By practising the asanas, or poses, regularly, you can help release the lactic acid build up that is a common cause of those early morning aches and pains. A slouch is never a favourite. Through practising the numerous standing and sitting yoga asanas, you will have a good reason to get your back straight. By using your abdominal muscles to maintain a pose, you significantly strengthen your core, making it easier to straighten your back and rid yourself of that pesky slouch. You can strengthen your lung capacity, as well as your endurance. This can be incredibly helpful for running enthusiasts and those looking to increase their athletic performance. Most of us feel incredible stress just having the responsibilities of our work and family lives. Elected officials carry the burden of a community, state, or the whole country on their shoulders. That's a lot of pressure. A regular yoga practice helps keep stress at bay so you can focus on doing your job! Studies have shown that yoga can slow down your heart rate, a great benefit those with blood pressure issues, as well as heart diseases. Yoga and its practices have a lot to offer than just a way to exercise the body. It connects an individual emotionally, mentally and spiritually to oneself and builds a strong foundation internally which helps the body and mind to maintain a healthy equilibrium between them. Yoga soothes the soul and is also the best way to achieve wellness.